Nissan South Africa has issued a safety recall on several local models due to a defect with the front Takata airbag inflators. This affects both the driver and passenger airbags. Nissan has been advertising their recall over social media and in local newspapers. The automaker said that customer safety has always been their first priority. 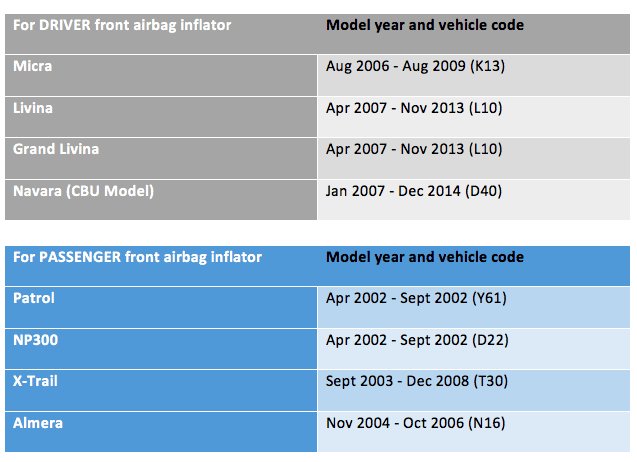 As a result, they are replacing airbags in Nissan vehicles built between 2001 and 2013 at no extra cost. 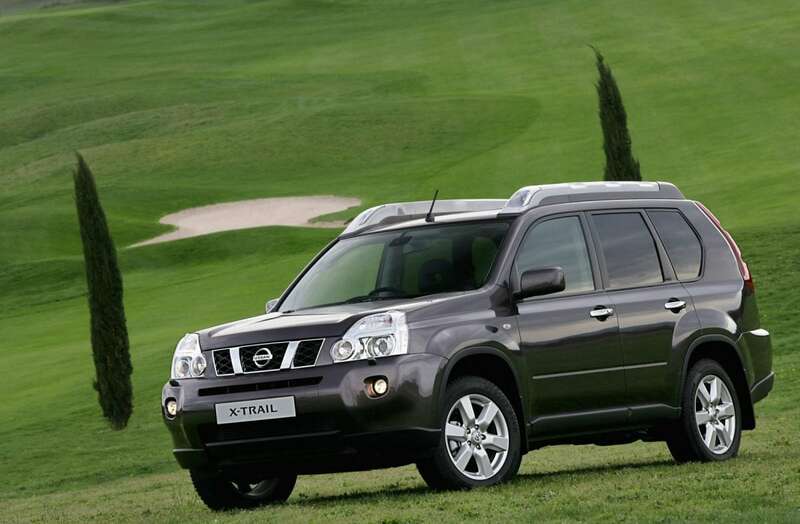 Moreover, Nissan SA has given this link to check whether your vehicle is affected. Simply enter your VIN number or alternatively you could make a stop at any of the Nissan dealerships. Numerous safety recalls have taken place recently by several car manufacturers. More than 20 million vehicles have been recalled globally. Just to name a few, remember Ford recalled over 4,000 Kuga EcoBoost 1.6 models last year? After 40 cases of engine-fires were reported, Jeff Nemeth, Ford SA CEO, announced the recall for models manufactured between December 2012 and February 2014. Two years ago, Toyota recalled 3.37 million vehicles for defective airbags that included airbag cracks and even exhaust emission controls. More recently, in March, Mazda SA recalled an estimated 28,000 models also for defective Takata airbags. Models recalled were the Mazda2, Mazda6 and RX-8 cars that were built between 2002 and 2014. Owners are urged to have your vehicles checked at your nearest dealership where the airbags will be replaced. Should the airbags deploy, it could cause serious injuries or worse.